Rancho del Cielo is a beautiful oak studded 20 acres estate located in the exclusive Santa Rita Ranchos gated community. The property includes a 3000sf main home, 600sf guest home, 700sf garage, and small utility barn. A “hobby” vineyard and fully equipped 450sf home winery with temperature controlled cellar complete this one of kind offering. 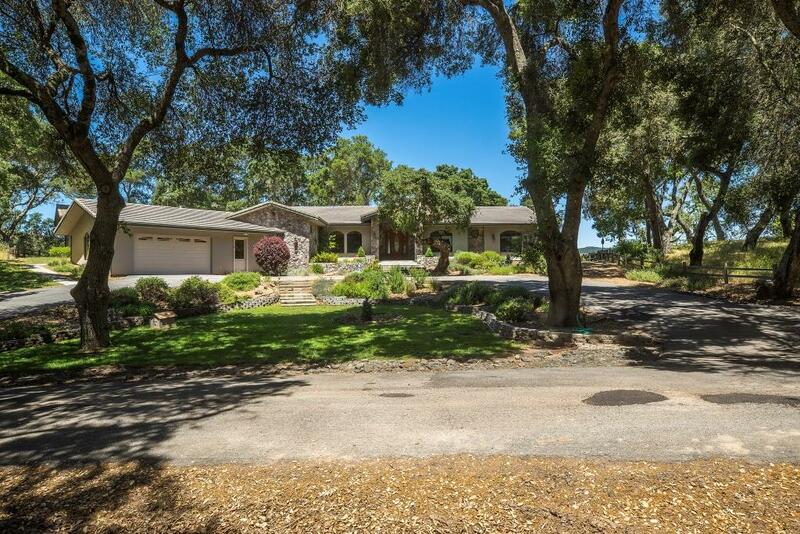 The property is located in the Templeton school district and is approximately 10 miles from the coast providing cooler summer afternoons. Perfectly sited among the oaks, large windows in every room bring the “outside in”. Enjoy stunning “see for miles views” as well as the park-like setting where deer or turkeys often stroll by. The structures are all top quality. The single story main home features 3 bedrooms plus office/bedroom, 2-1/2 baths, great room with rock fireplace, large kitchen, walk-in pantry, octagonal dining room, 10 ft ceilings and eight foot solid doors. Backyard patios and lawn area with small pond and waterfall provide a perfect spot for outdoor entertaining. The one bedroom guest cottage is close but completely private and includes a full bath, kitchenette, and sitting/dining area and private covered patio. It has the feeling of a mountain cabin. The loft is a great sleeping area for kids! The vineyard and winery include a 12 year old vineyard of approximately 75 Pinot Noir vines. The winery is fully equipped and includes a separate cellar room for wine aging and storage of up to 400 bottles.